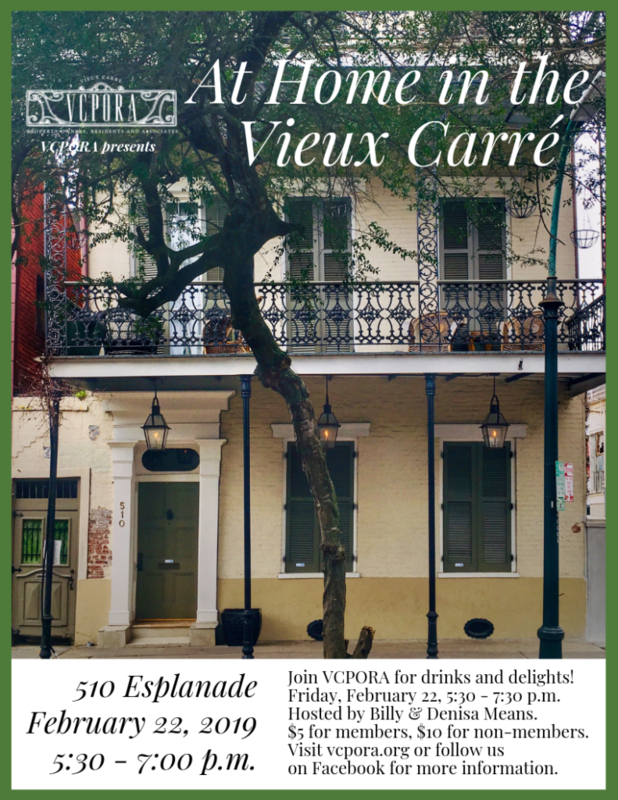 Please join us for the At Home in the Vieux Carré: Mardi Gras Edition! Come join in the seasonal celebration with wine and bubbles. Be sure to bring those wigs, masks, and hats too – costumes are highly encouraged. 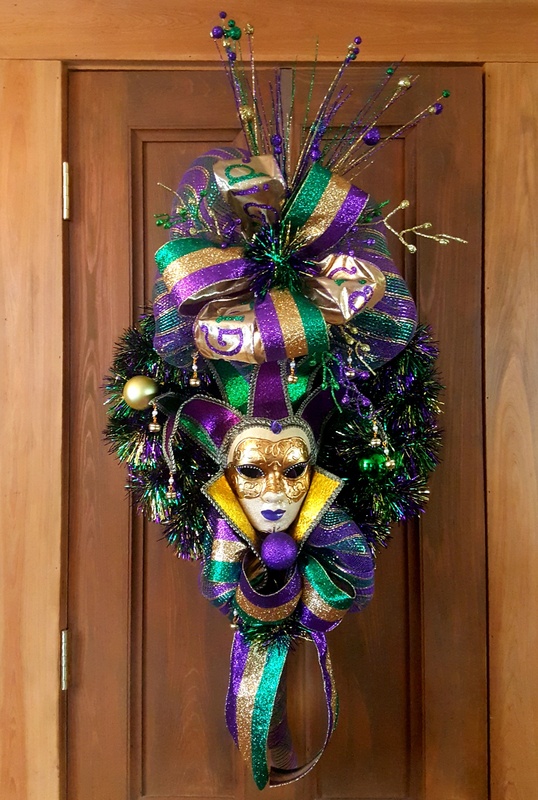 Plus, our 2019 At Home sponors, the Shedlock Group, will host a raffle for a special Mardi Gras wreath. Children are always welcome at these events. As always, admission is $5 for members, $10 for non-members, and free to those who join that night! When Billy and Denisa Means first purchased the house at 510 Esplanade, it was divided up into five units. “I saw the potential. Billy didn’t,” says Denisa with a smile. After buying the house in March of 2012, they enlisted contractor Ryan Mayer and interior designer Jennifer Kelly to complete a jaw-dropping, incredibly detailed renovation of the house in just over a year. Now they’ve restored the original floor plan. For the Means and their three children, there is no place like the French Quarter. The food, the beauty, the central location, the friendliness of the people—that’s what attracted them and kept them coming back, and why this will be their “forever” home.